Are you a new parent? These events are for you! Welcome to UNIS Hanoi our newest members of the community. We hope that you had an informative Orientation session, the campus is becoming to feel like your second home and the students are ready for school on Monday! In your welcome bag you will have received a Welcome Tin Tuc with a lot of information to give you an overview of what’s available at the school and who to contact for what. On page 4 we have highlighted some key events you are encouraged to attend to learn the most about the school. 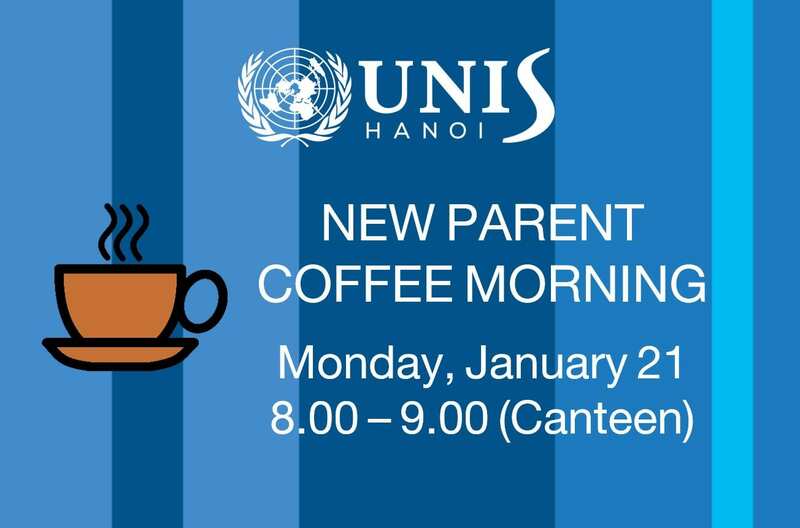 On Monday, January 21 from 8.00 – 9.00 (Canteen) drop-off the kids at school and join us for a coffee in the canteen. You will meet our parents in the School Community Organisation and find out about what they do and how you can get involved in your child’s education. The ES Tech Session will follow the Coffee Morning from 9.00 – 10.00 in the Healthroom in the Sports Centre. You will be guided through the school information systems used in the Elementary School and become familiar with Veracross, CHQ (after school activity sign-up) etc. 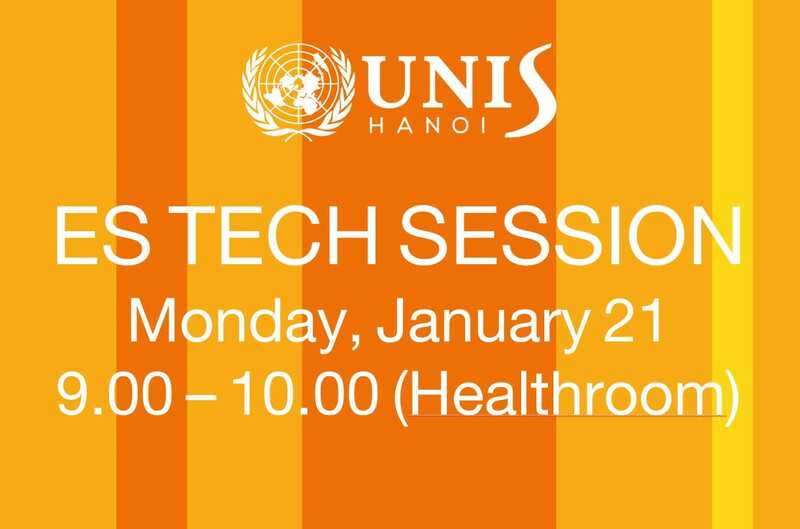 On Tuesday, parents with students in grades 6 to 10 are invited to learn about the Middle Years Programme offered at UNIS Hanoi. 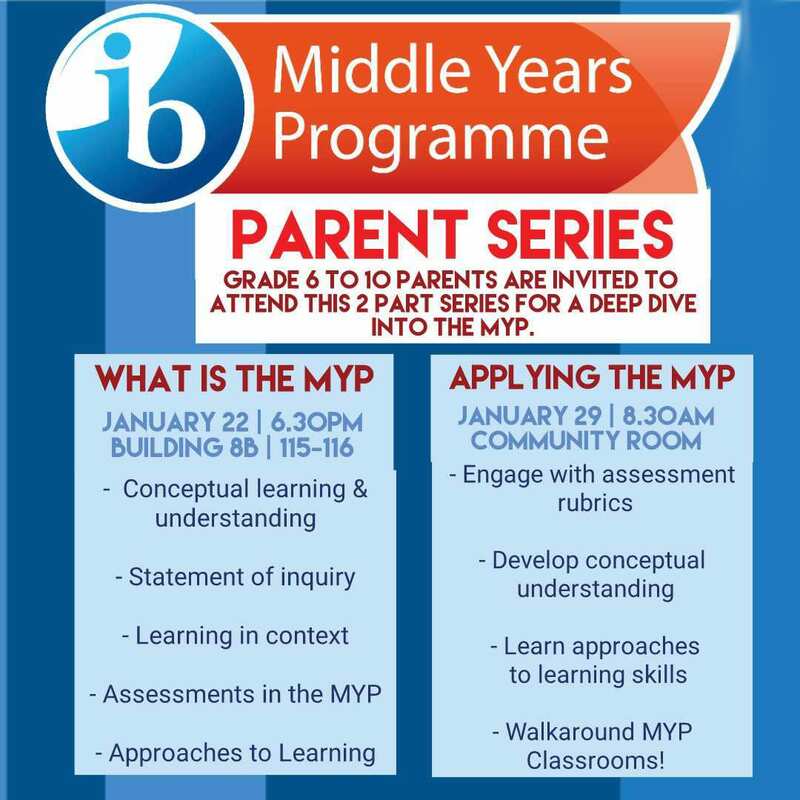 This is a two-part series led by the MYP Coordinator. To register sign-up here. 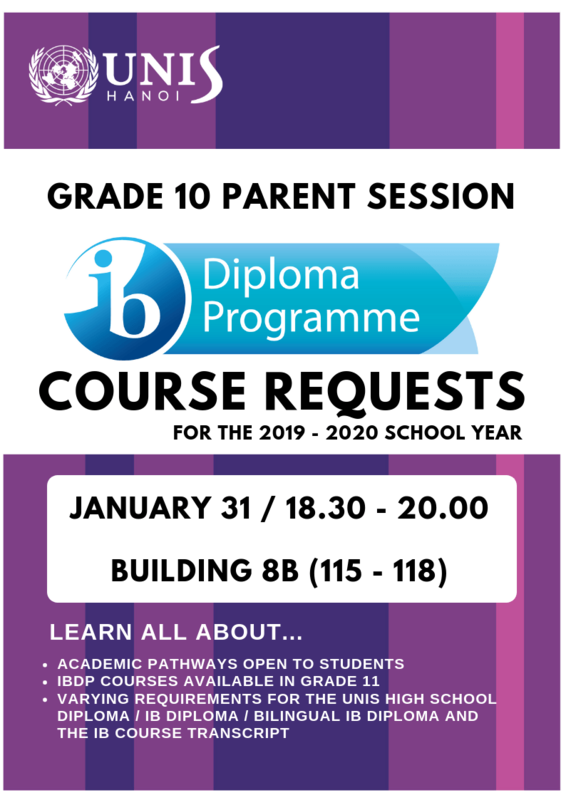 Lastly, for the Grade 10 parents that are new this is an important session to attend to prepare for the IB Coursed for next year. Please let us know if you have any questions at all, our Community Liaison Officer, Nathalie Grun, is here to support!